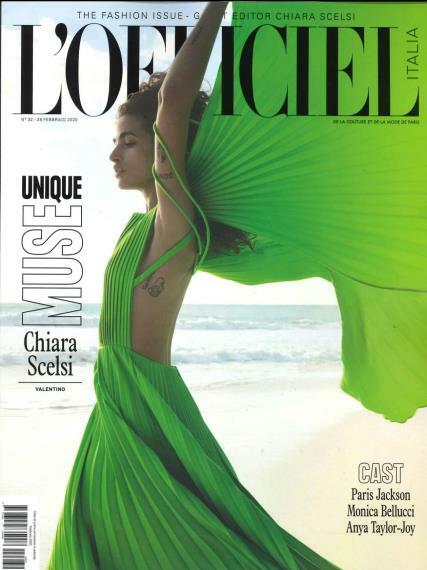 L'Officiel Italia presents the latest international trends about fashion, beauty, jewellery, art and design. Buy a single copy or subscription to L'Officiel Italia magazine. It rediscovers the Italian craftsmanship together with an avant-garde approach. The magazine is one of the leading fashion voices for women and takes the same style as its French counterpart. For women who have a passion for both fashion and looking beautiful, it is essential for all those who aren’t looking for your bog standard designs. It continually presents fashion that not only highly exuberant but also aimed towards the chic, independent women of the world. Each issue provides the readers all the latest news, reviews, and best of all the high fashion from around the world. It doesn’t just look into fashion, oh no! It digs in deeper into independent women of the world who always look their very best while answering to no one except themselves.